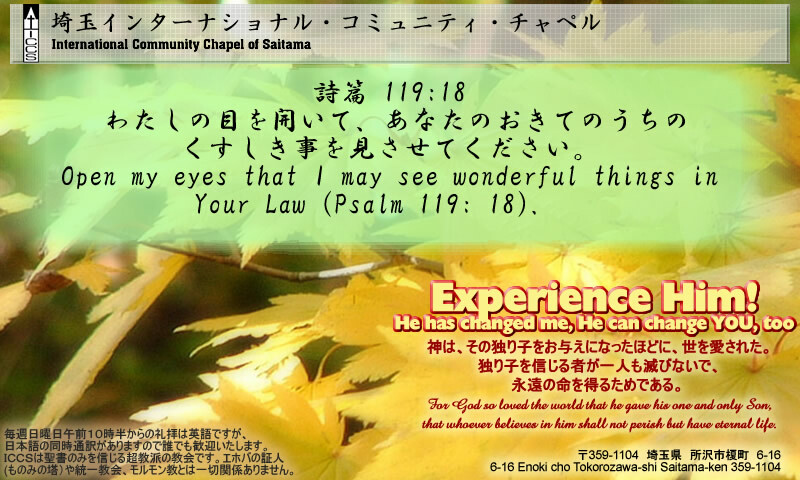 International Community Chapel of Saitamaく! Copyright (C) 2005 ICCS(Japan). All Rights Reserved.